Pent-up demand for housing, along with the higher wages of college grads, will boost the economy in the long term, PIMCO analysts say. 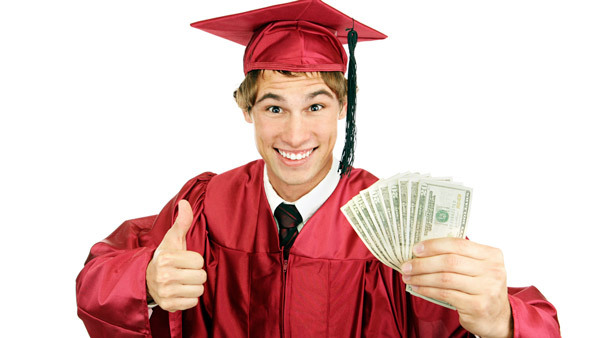 A college degree generally means more earnings, and spending, in the long run. Dire predictions that millennials’ heavy student debt load will weigh down the economy in the long term are “largely overstated,” a new PIMCO report says. A new analysis by portfolio manager Joshua Anderson, product manager Jason Mandinach and housing analyst Emmanuel S. Sharef of PIMCO predicts that the pent-up demand of heavily indebted graduates will act as a catalyst to the U.S. economy over the long term as they pay off their loans and enjoy the higher earnings that come with a college degree. In order to understand housing market assumptions over the next few years, getting a grasp on the financial trajectory of millennials is important, the analysts write. “We expect millennials’ financial position to improve, and pent-up demand could result in longer-term strength in housing and housing-related assets,” they write. The traditional progression of growing up, getting married and buying a house has shifted, not disappeared. Anderson, Sharef and Mandinach believe that timing is the issue and that there is no real structural problem. “Over time the economy will overcome the burden of student debt, and pent-up demand for housing could surprise to the upside,” the analysis says. They also believe that student loan debt will pay off in the future. Comparisons between the rising student loan debt and the residential credit market in the residential sphere of 2008 are oversimplified, the PIMCO analysis finds. “Growth in housing was driven more by increased speculation and widespread irresponsible borrowing and lending. Rising student debt has mainly been a function of higher education costs and a larger demand base, although speculation does play a role,” the authors write. In other words, it is highly unlikely that the “systemic risks” in 2008 from the mortgage crisis will affect the student loan market. Student loans open the door to higher education, and higher education, most of the time, means a higher paying job. The unemployment rate for college graduates is 3.2%, compared with 9.1% for people without a high school diploma. “Unlike housing, where rising home equity withdrawals could be used to finance consumption that did not improve the likelihood of loan repayment, education often increases the borrower’s long-term financial capacity,” The authors write. Over $1 trillion of student loans are held or guaranteed by the U.S. government, which means that there is a possibility that policymakers and government officials could help borrowers with their debt. Mortgage borrowers, on the other hand, obtained their loans from private firms. Also, the report says, student debt is “less interconnected, so the economic impact of losses and write-downs of delinquent student debt would not have the same effect as the nearly $1 trillion in mortgage charge-offs,” the authors write. “If 20% of the student loan market was written off, that would equate to approximately $26 billion per year for 10 years.” This is a relatively small slice of the economy as a whole. There is also another shift in the housing market. Before 2007, first time homebuyers were 40% of the market; now that number has dropped to 27%, and the average age of homebuyers has gone up. “The tight lending environment makes it difficult for young adults with student debt to qualify for a mortgage, and student loan payments have delayed the wealth accumulation required for a down payment,” Anderson, Sharef and Mandinach write. Millennials are more inclined to rent with roommates or live with their parents. Anderson, Sharef and Mandinach conclude their analysis by pointing out that while either renting or buying will be a positive for the housing market, single-family housing tends to provide the biggest economic boost. “Whether millennials choose to buy or rent could have important ramifications for homebuilders, multifamily real estate investment trusts, land prices – and even mortgage-backed securities – for years to come,” they write. Check out PIMCO’s Gross Prefers Bonds to the Mattress, St. Louis Fed Not So Sure on ThinkAdvisor.